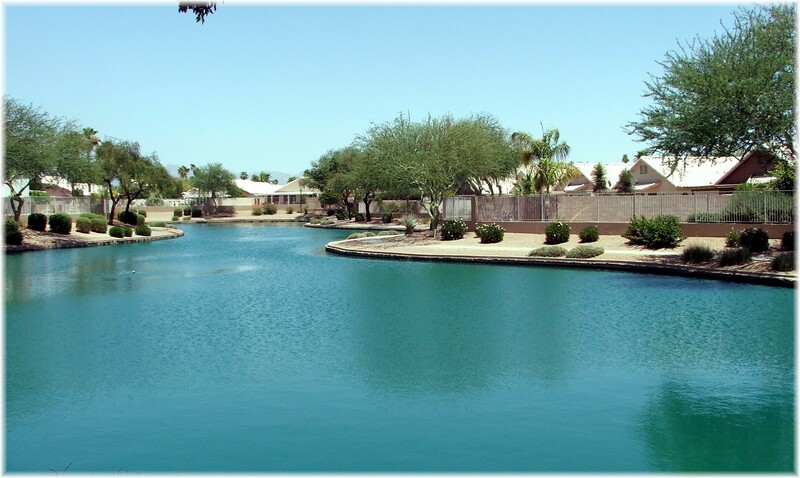 This Mesa lake community is a hidden treasure among lake communities in the Phoenix area. First of all, Mesa doesn’t have a lot of lake communities or waterfront communities, so potential buyers may not think to look in Mesa. Secondly, it has less than 70 waterfront lot homes, so the community is not well known among lake communities. 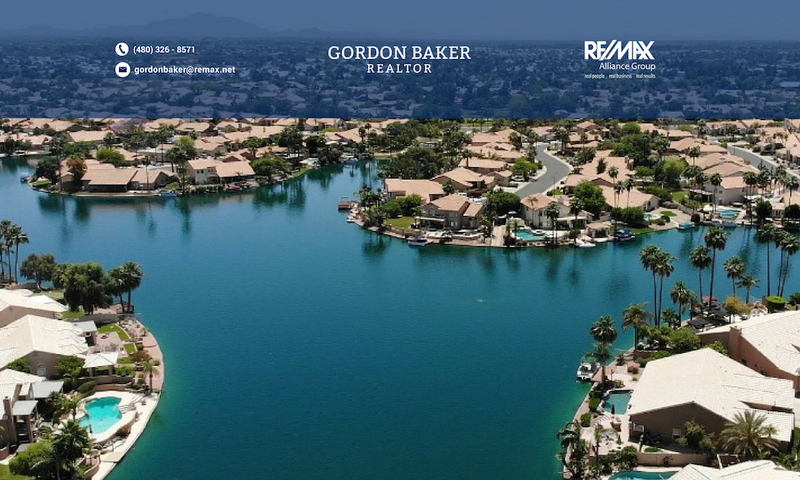 These lake subdivision homes, mostly single story, represent some of the most affordable and best values in waterfront property in the valley. 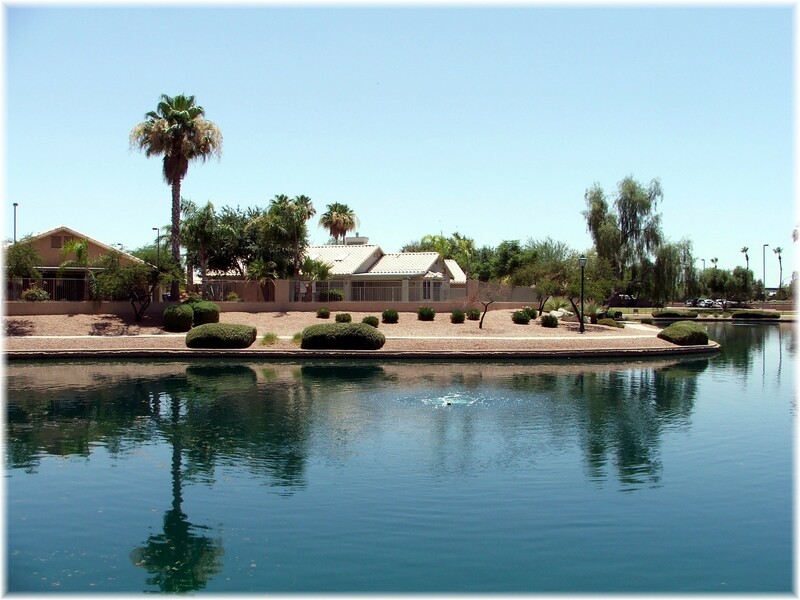 A distinctive feature of this Superstition Spring subdivision is the community walking path that circles the lake. If you are looking for a lakeside home with access to a boat in your backyard, this is NOT the place for you. Waterfront homes are separated from the lake by a view fence. 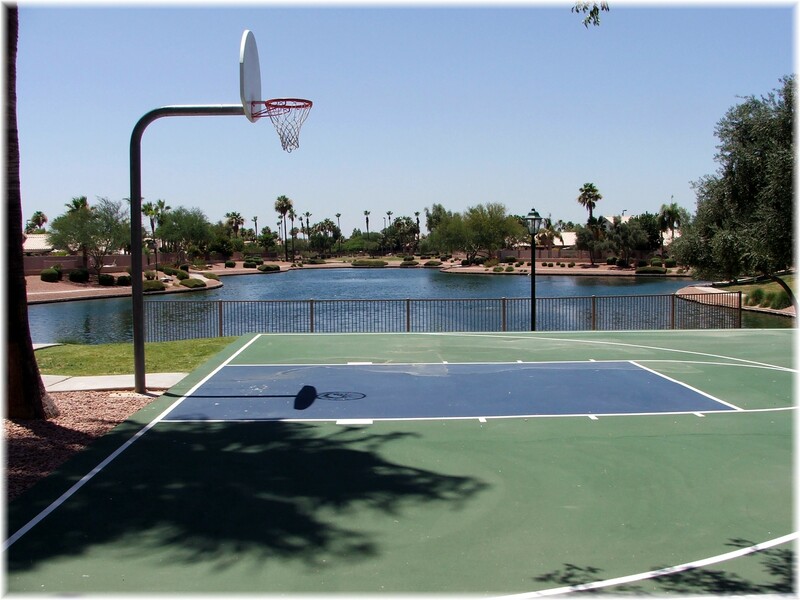 Community residents can enjoy leisurely walks around any of the four lakes which equates to about a 1/4 mile stroll. Within 1/2 mile is an abundance of restaurants, the Superstition Springs Mall, access to the US 60 freeway, and the Superstition Springs Golf Club. For those interested in condos, a good alternative is Superstition Lakes Condominiums. If a waterfront home comes on the market, it would be wise to act quickly because these waterfront homes do not stay on the market long. To be made aware of homes in this community, request automated Superstition Lakes listings. INCREDIBLE OPPORTUNITY TO PURCHASE THIS LIGHTLY LIVED IN HOME IN THE FABULOUS SUPERSTION SPRINGS SUBDVISION. THIS QUALITY BUILT PULTE HOME FEATURES FORMAL LIVING AND DINING, A WONDERFUL EAT-IN-KITCHEN WITH ISLAND AND A NICE FAMILY ROOM OVERLOOKING THE BACKYARD. LARGE MASTER SUITE WITH ARCADIA DOOR LEADING TO BACKYARD. MASTER BATH WITH SEPARATE TUB AND SHOWER, UPDATED VANITY WITH DUAL SINKS. SPACIOUS WALK-IN CLOSET. TWO ADDITIONAL BEDROOMS AND A GUEST BATHROOM COMPLETE THIS NICE HOME. HEATING / AC AND WATER HEATER REPLACED IN 2013. EASY CARE DESERT LANDSCAPING AND A FULL LENGTH COVERED PATIO TO ENOY OUT BACK. THIS HOME IS JUST AROUND THE CORNER FROM SHOPPING, DINING, MOVIES, AND SO MUCH MORE. GREAT STARTER HOME, 2ND HOME OR A PLACE TO DOWNSIZE. ALL APPLIANCES INCLUDED. This fabulous, clean, 1 story, 3 bedroom, 2 bath home is conveniently located on the Baseline/Power Rd corridor, perfectly situated in the Superstition Springs subdivision. The home features vaulted ceilings and formal living and dining areas. The master has a walk-in closet, dual sinks, separate tub and shower. The kitchen is open to the family room which leads to the patio by the pool for a relaxing cup of coffee or an evening cocktail! The incredible majestic mountain tops provide for a spectacular sunrise experience. Enjoy quick access to dining, movies, golf courses, the community playground, basketball court and lake where the ducks hang out! Close to the 60 Fwy, Loop 202 and much more! Hurry over to your new home! If you are a homeowner, need to sell and are underwater with your mortgage, go to Mesa short sale info.